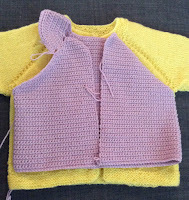 As I told you earlier, I used one of the baby jackets as size measurements and started on a sort of vest for a baby. It was supposed to be a jacket, but I didn't have enough yarn for the arms and I kind of had no idea how to make it as I wanted so I opted for cute litte wing-like things instead. 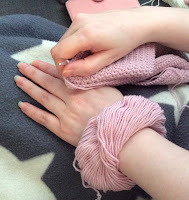 Here I am sporting a lovely bracelet of Drops Merino. It was rather useful to hang my yarn on my and when I was halfway through the yarn so it didn't fall off the sofa as often. Here I was the other day. And here it is finished, tadah! I have no idea what size it is, because small babies are hard to come by for size comparison, but I am guessing 3 month? As you can see it is pretty much the same size as the jacket. 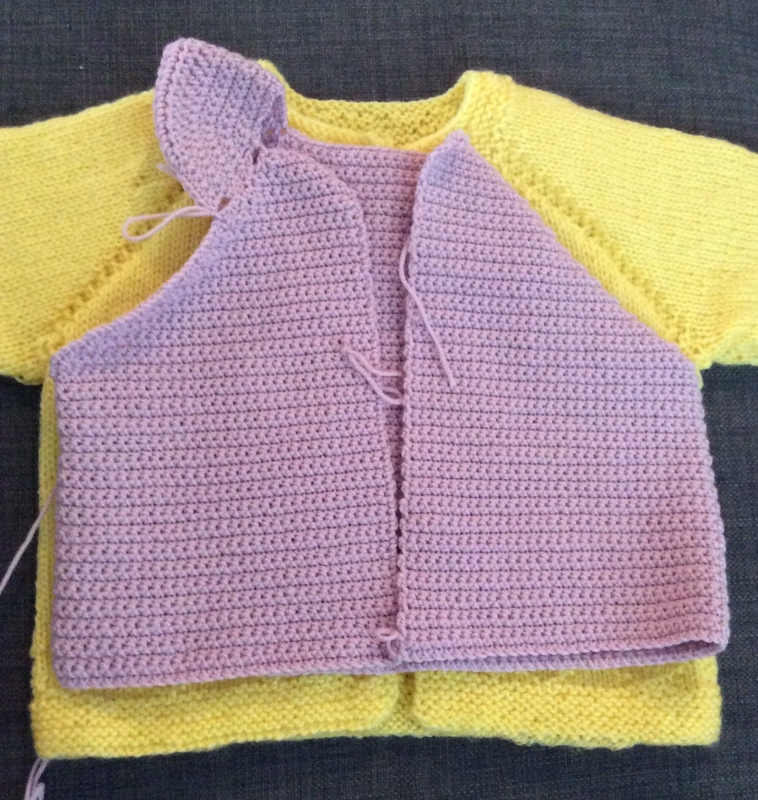 Now it only needs a button and a fastening hem thing. 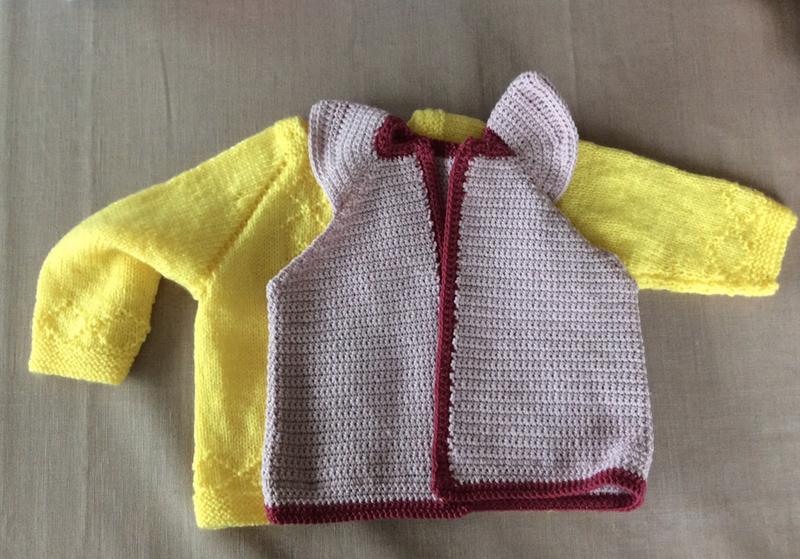 And a baby inside, but for now I will just put it in my baby-gift box and hope someone comes a long to wear it. 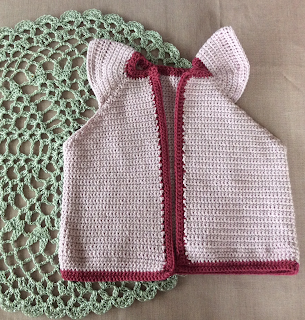 And in the meantime I am making more clothes so that I will get better at it, because this is rather sorry looking even if it is kind of cute. But hey, I designed it, sort of so I am kind of proud of it anyway.